Thank you for booking your apartment at rief.rentals! Please follow these instructions for a stress-free arrival and check-in. After you have fixed your travel plans please let us know travel details and estimated arrival time. Although you can use the self-check-in we have to organize the cleaning service in advance to be sure everything is ready for you. Please visit the directions page to get detailed instructions from major transport hubs to our building. In case you are arriving by car you will also find some parking information on that page. Depending on how the hand-over of the keys has been arrangend upon prior to arrival, use the self-check-in (see next chapter) or ring the door bell "rief.rentals" at the main door. A second set of keys and a welcome letter with all necessary instructions (incl. the WiFi code) will be waiting for you in the apartment. After you have settled in please fill out the guest registration form. We are obliged by law to make record of all guests within 24h (see also last chapter of this page). We will pick up the form when you are ready. Please let us know in advance what time you intend to check out. If the time allows we will pick up the keys personally otherwise please leave both sets of keys visible in the kitchen and just shut the door behind you. In case the transaction of payment has been done via a booking website, the deposit will be refunded by the website operator (AirBnB, Tripadvisor, Homeaway). If you have transferred the deposit directly it will be refunded in cash on the day of the departure. For our accounting we will issue an invoice for each booking. If you wish to receive a copy as well please let us know - we send it to you via email or print a copy for you. 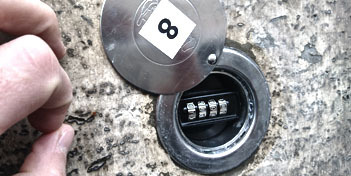 To be flexible with our check-in times we have two code-locked key safes. This option makes it possible for you to enter the building and the apartment any time and you don't have to worry about sticking to a certain schedule for picking up the keys. Before your arrival we will send you the code for one of two key safes. 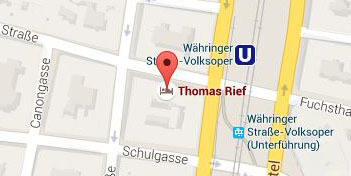 When you have arrived at our building "Waehringer Str. 73, 1180 Vienna" look for the silver circular containers right below the doorbells. The containers are marked with 8 (for Apartment 8) and 12 (for Apartment 12). Slide the cover to the side and enter the 4-digit code you have been provided. You can now turn the handle a quarter turn counter-clockwise and pull out the cylinder with the keys attached. One set of keys (main door and apartment door) will be in the cylinder; a second set of keys will be waiting for you in the apartment. You can leave the heavy cylinder in the apartment. We will pick it up together with your guest registration sheet at a later time. Apartment 8 is on the first floor, apartment 12 is on the third floor. The apartments are marked with the number above the door. Long- and short-term tenants are obliged to register their residence in Austria. Depending on the duration of residence there are two different modes of registration. Name, gender, date of birth, citizenship, passport or ID number and issuing authority, home address, day of arrival and departure. You need to sign this form and it will be securely stored in our files. We will not hand this data over to any third party except from official authorities (e.g. police or government agencies) upon request. In case you are staying longer than 3 months you need to register your residence at the local district authority (Magistrat). To register we will provide a form "Meldezettel" for you and help you filling it out as it is in German only and you will need a signature from the landlord (Thomas) as well. 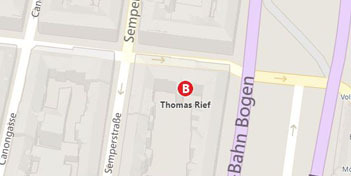 After filling out the form and getting Thomas' signature you have to visit the "Magistrat" which is located at the corner of Waehringer Str. and Martinstr. (a 10 min walk) with your passport to complete the registration. We will help you with that process.